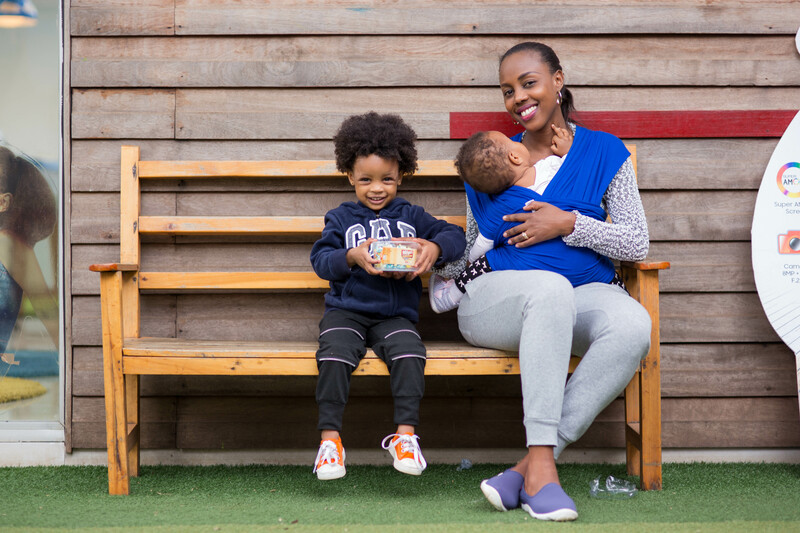 If you thought you had seen all the comfortable and fashionable ways to carry a baby in Day 3 of this campaign, think again! Toto Wraps range of product offerings is quite diverse and it will take us a number of posts to cover them all! 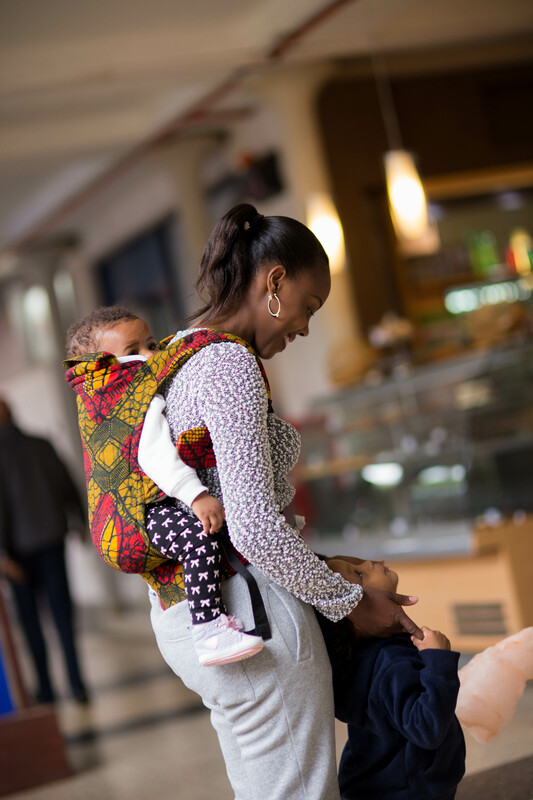 This is perfect for carrying newborn babies on the front but also works for the older ones and can handle a maximum of 13kgs. 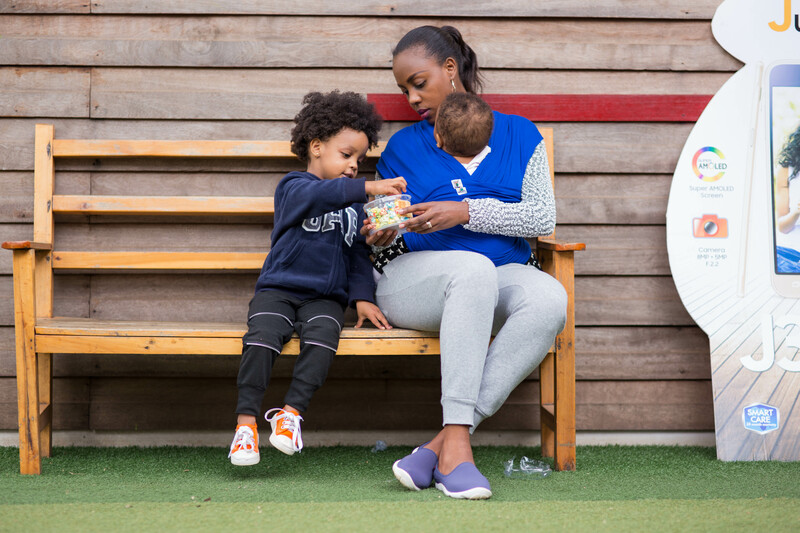 As you can clearly see, Xia who is 10 months old weighing 9.5kgs is quite safe and snug in this gorgeous cobalt blue wrap. 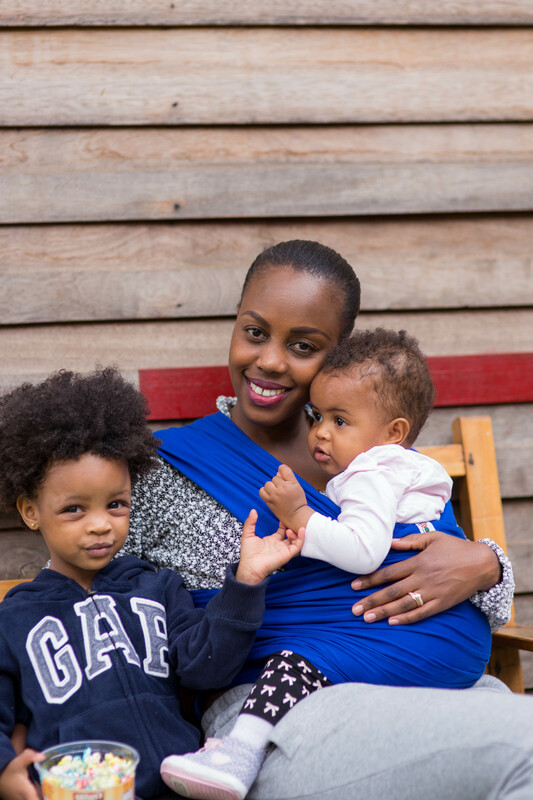 As the name suggests, the stretchy wrap conveniently expands to perfectly hold the baby as its made of organic stretch cotton fabric. 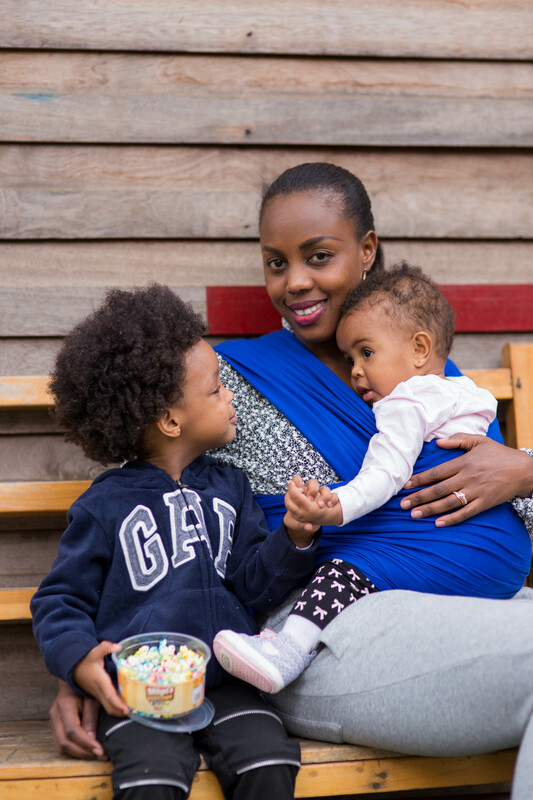 Amazingly, despite its stretchy nature, once the baby is safely secured, it does not stretch any further and you therefore need not worry about sagging. 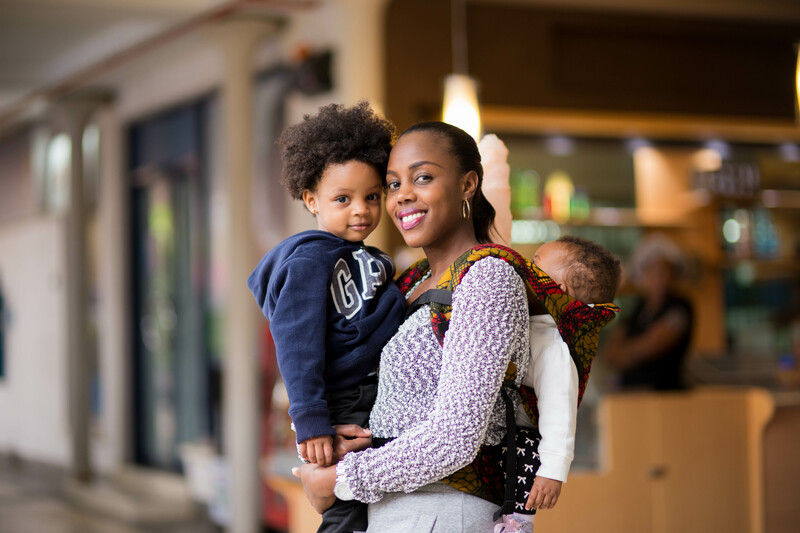 Not your normal baby carrier as it’s carefully stitched to ensure both the baby and the mother’s comfort are well taken care of. 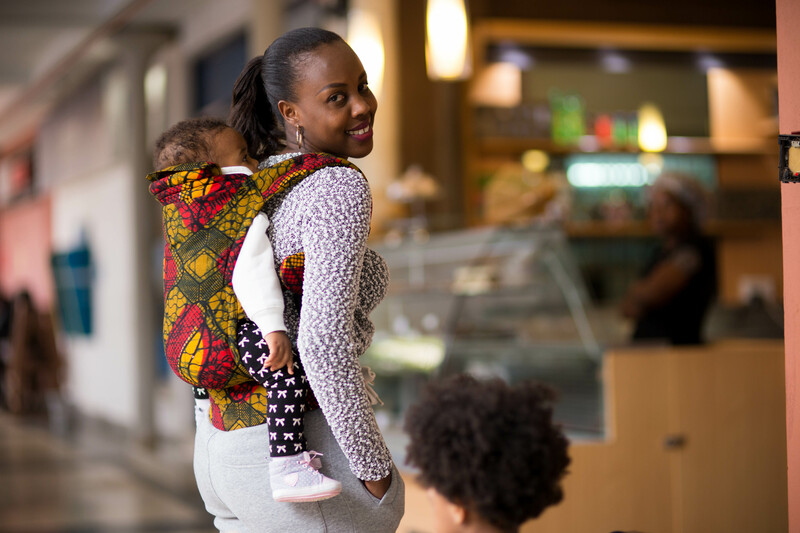 What’s more, it comes in a variety of beautiful African prints so you need not shy away from carrying your baby around the next time you got to dress up for an event! Eva I was hoping you would say that you have been inspired to get baby number three! Hehe. Boy features coming up soon. Hey Fridah, I am not sure about the prices because they vary depending with the design so its best you inquire from Toto Wrap. They are very responsive on their FB page which i have included above or you can send them the image on whatsapp and they’ll respond. I agree these wraps are just the bomb! …my favorite is that baby carrier ..?? looks like a backpack …hehehe…but I would want all of them,lol…in a couple of years when baby number two comes..??.. The carrier is quite fancy for sure. My outfit details: Low cut top-H&M (SA), Sweat pants-Thrift (some guy sells them on 14 Riverside drive). Thanks for all the complements.